Official GBULLION Blog: GBULLION's 1st Birthday! Internet Service GBULLION turns 1 on the 10th of March 2011. On that date we will have accomplished a lot and now is a good time to report on the progress. In the last 365 days, price for gold has increased by more than $300 (+29%) and is currently approaching an all-time high. It is likely that the impeding renewal of historical maximum in gold prices is not the last one this year! On top of all of the above, we have intensified our internal financial policy, directed at battling funds-laundering gained from illegal activities. 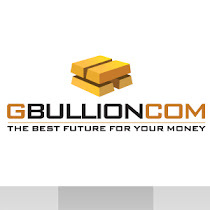 Now only Users with Verified accounts can transfer gold within GBULLION. These restrictions are directly connected to financial safety of the Company and Service, which leads to increase in security for individual users as well. At the end of the year, the Company underwent a successful planned audit and, as a result, our registrar – Dubai Multi Commodities Centre (DMCC) – has extended our License to trade gold for another year. We would like to thank you all for attention and support to the project and would like to announce that in the near future we are planning to share some very pleasant news!